Women in the UK benefit from regular, well-organised antenatal care, with midwives fulfilling a crucial role in screening for potentially dangerous conditions for a pregnant woman and/or her baby. 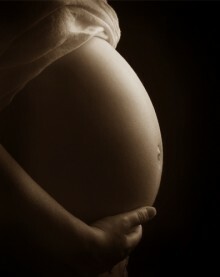 Where there might be a gap in healthcare, however, is for so-called “minor ailments” of pregnancy. These are not life-threatening conditions that are expected to resolve after the birth, and therefore warrant somewhat less attention from the antenatal team – although they can sometimes have a significant impact on a woman’s life. We offer a range of treatments to help with most pregnancy ailments, from morning sickness to birth induction, and to improve general relaxation and well-being during pregnancy and beyond. Often, several treatments are possible for a particular health issue, and the choice of treatment will depend very much on your personal preference. Please call 020 7431 0220 for advice. Ideally around week 34, though later treatments can still be successful. This is a simple procedure done using moxa sticks. A single treatment is needed, with the woman doing follow-up treatments by herself every day for another 9 days. Birth preparation treatments may be used weekly from week 37 onwards to help promote a safe and natural labour. Acupuncture can be used for either inducing labour or for promoting it when it is not progressing as planned. If the labour doesn’t start after a first induction treatment, it is possible to do a second one a couple of days later. After that, even if the labour doesn’t start naturally and a medical induction is needed, the acupuncture induction treatments have been shown to lead to easier births which overall needed less medical intervention.